I was recommended to Scott by James Renick and how he was the only tuner he trusts personally. So I thought to myself, If James R. trusts him then I have no doubt in my mind that I would want my car in his hands. From the moment we first made contact with each other, the communication was amazing, bar none. Scott would immediately to reply to all of my questions and concerns, even before I purchased the service. I was fortunate enough to be part of the new HPTuner MPVI2 module and made the process a breeze for me. Scott made sure my car was safe for the entire process, we would do various amounts of test runs to be sure everything looked good before we started to actually unlock the cars potential. I never had the feeling that my car would blow up. Scott worked around my schedule and made himself available when I needed him. We communicated mainly through Texts and email, and every step of the way I would get a nice explanation of what my car was doing and what he was changing to make the car perform better. 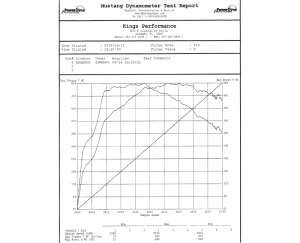 As the car stands now at the time of writing this testimonial, the car is making 489 WHP and 523 ft-lbs tq!, and this is a nice wide band from ~4k-6.5k rpms! The car feels amazing and alive! I purchased the colder spark plug and can’t wait to see what else Scott can squeeze out my ATS-V!